The Academy celebrated Fairtrade Fortnight with a bang, as a very much student-led two weeks put Fairtrade in focus. Building on last years event, students went bigger and better, as they helped raise awareness of this very important topic. We also held a Fairtrade Bake-off with invites sent to the local community. Parents and carers, as well as staff and students came to take part as over 100 chocolate and banana fairtrade cakes were made. Our Governors also attended and judged the contest, declaring Year 7 student Olivia the winner. An inter-community football tournament was also held using Bala Sport UK footballs. The tournament proved a massive hit as teams were over-subscribed with players. The tournament was also watched be an expectant crowd and the players didn’t; disappoint as they delivered an action-packed performance. 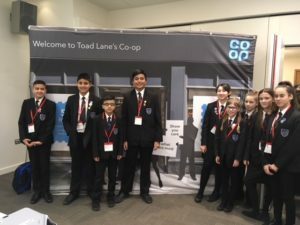 Students also took it upon themselves to sell Fairtrade goods during breaks and lunches, as they continued to help spread the word about Fairtrade and raise money. 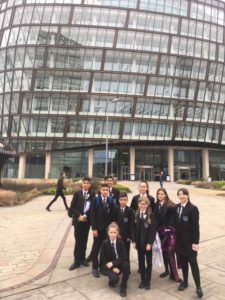 All in all, our students really excelled as they took it upon themselves to learn more about Fairtrade and embed into the culture of the Academy.